Product prices and availability are accurate as of 2019-04-21 10:59:43 EDT and are subject to change. Any price and availability information displayed on http://www.amazon.com/ at the time of purchase will apply to the purchase of this product. 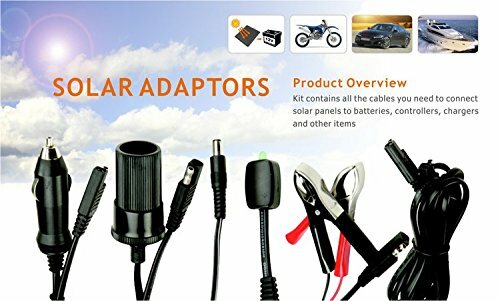 Sunway Solar 16FT Extension Cable Quick Disconnect Plug Adaptors For Solar Battery Charger Kit and Solar Panel Power System Connection Of Solar Panel Charger Kit,Solar Battery,Solar Charge Controller Regulators . 1.Keep installation area clean and well lit. 2.Install out of reach of children. 3.Use in 12 VDC systems only. Do not use to make connections exceeding 300 volts or 4 amps. 4.Wear ANSI-approved safety goggles and heavy-duty work gloves during installation. 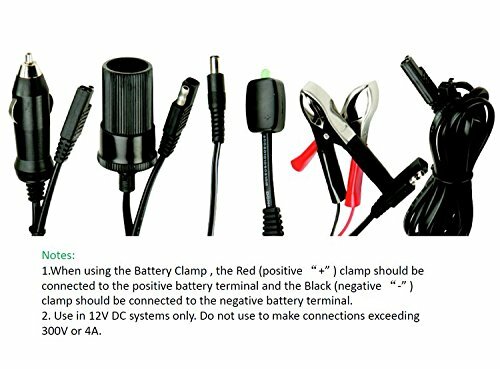 5.When using the Battery Clamp , the Red (positive "+" ) clamp should be connected to the positive battery terminal and the Black (negative "-" ) clamp should be connected to the negative battery terminal. 6. Clean and inspect all adapters and the Solar Power system used with these adapters MONTHLY, or more frequently to maintain peak efficiency. [Use In 12 VDC Systems Only]- Kit contains all the cables you need to connect solar panels to batteries, controllers, chargers and other power systems. 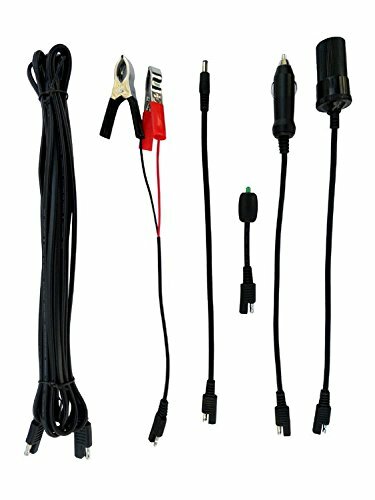 [6 Cable Connectors In One Package]-16 feet of DC extension cord include Battery alligator plugs ,Male cigarette lighter plug,Female cigarette lighter plug,Barrel plug connector,LED charge indicator. 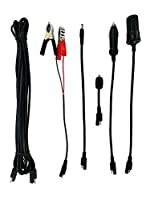 [The Dual Extension Cable Connector]- It can be used in case the lead wire of your Solar Panel or product is not long enough. Connect the Extension to the lead wire and the solar product. NOTE: A longer lead wire may reduce the amount of electricity coming from the Solar Panel to the item being charged. 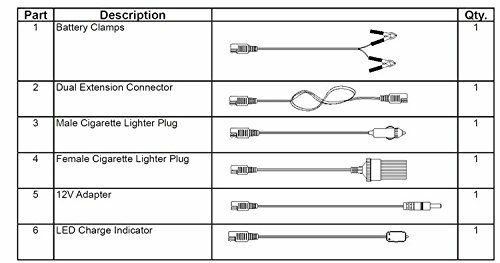 [The Male/Female Cigarette Lighter Plugs and 12V Barrel Adapter]- can be used to connect the solar products to various charge controllers and using terminals. [The LED Charge Indicator ]- is used to determine if the solar charger/solar power kit is working(has sufficient electricity) or not under direct sunlight. Attach the Charge Indicator to the solar product's lead wire. The LED light will flashing if there is sufficient power.